The theatre is such a big space for performers and their audience that it is vital to always keep it theatre safety in mind and create a safe environment. Here are some theatre safety guidelines to follow when operating the theatre. Correct fire extinguishers should be placed in convenient locations. Know the exit areas and keep them unobstructed. First aid kit should always be available and checked for expiration. Use safety cables for any fixture that is mounted above head height. Use portable power outlets with RCD circuit protection to avoid electrocution risks. Keep lighting fixtures away from flammable objects such as props and curtains. Inspection and maintenance of grounds and equipment should be scheduled regularly. When operating difficult machinery or using a ladder, always have someone to spot for you. Good quality fire rated doors should be installed to prevent spread of fire around the venue. 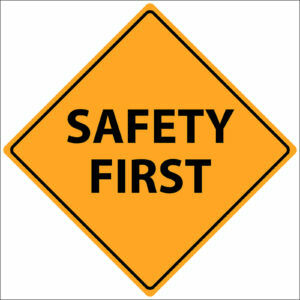 At Specialty Theatre we pride ourselves on the work with do to promote theatre safety with our customers. Please don’t hesitate to contact us if there are any elements of theatre safety that we can help you with.